Not to be confused with Sight & Sound Theatres. Sight & Sound was first published in 1932 and in 1934 management of the magazine was handed to the nascent BFI, which still publishes the magazine today. Sight & Sound was published quarterly for most of its history until the early 1990s, apart from a brief run as a monthly publication in the early 1950s, but in 1991 it merged with another BFI publication, the Monthly Film Bulletin, and started to appear monthly. The journal was edited by Gavin Lambert from 1949 to 1955, and from 1956 to 1990 by Penelope Houston. The relaunch editor was Philip Dodd. It is currently edited by Nick James. 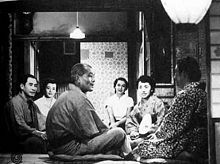 The magazine reviews all film releases each month, including those with a limited (art house) release, as opposed to most film magazines which concentrate on those films with a general release. Sight & Sound features a full cast and crew credit list for each reviewed film, as well as the entire plot of said film. Every decade, Sight & Sound asks an international group of film professionals to vote for their ten greatest films of all time. Until 1992, the votes of the invited critics and directors were compiled to make one list. However, since 1992, directors have been invited to participate in a separate poll. The individual results are eclectic; in the 2002 poll, 885 different films received at least one mention from one voter. Even the top-of-the-list consensus has its limits. In 2002, both the critics and the directors selected Stanley Kubrick films in their top ten; however, the critics chose 2001: A Space Odyssey, while the directors preferred Dr. Strangelove. The Sight & Sound accolade has come to be regarded as one of the most important of the "greatest ever film" polls. Roger Ebert described it as "by far the most respected of the countless polls of great movies—the only one most serious movie people take seriously." The first poll, in 1952, was topped by Bicycle Thieves. The five subsequent polls (1962–2002) were won by Citizen Kane (which finished 13th in 1952), while Vertigo received the most votes in 2012. Only La Règle du jeu (The Rules of the Game) has appeared in all seven of the magazine's decennial polls. Among the directors that participated in 2012 are Quentin Tarantino, Martin Scorsese, Ken Loach and Francis Ford Coppola. Sight & Sound has in the past been the subject of criticism, notably from Raymond Durgnat, who often accused it of elitism, puritanism and snobbery, although he did write for it in the 1950s, and again in the 1990s. The magazine's American counterpart is Film Comment, a magazine published by the Film Society of Lincoln Center in New York City. It has also been accused of populism in recent years. A new rule was imposed for this ballot: related films that are considered part of a larger whole (e.g. The Godfather and The Godfather Part II, Krzysztof Kieślowski's Three Colors trilogy and Dekalog, or Satyajit Ray's The Apu Trilogy) were to be treated as separate films for voting purposes. For the 2012 poll, Sight & Sound also listened to decades of criticism about the lack of diversity of its poll participants and made a huge effort to invite a much wider variety of critics and filmmakers from around the world to participate, taking into account gender, ethnicity, race, geographical region, socioeconomic status, and other kinds of underrepresentation. ^ "Penelope Houston: Influential editor of 'Sight & Sound' magazine". The Independent. 30 October 2015. Retrieved 24 August 2017. ^ Roger Ebert. 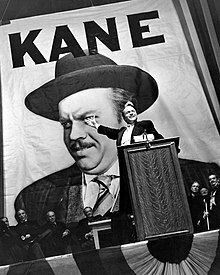 "'Citizen Kane' fave film of movie elite". Chicago Sun-Times. Retrieved 1 January 2008. ^ Johnson, Eric C. Sight and Sound Poll 1952: Critics, Caltech. ^ Miller, Henry K. "Poetry in motion". BFI Film Forever. BFI. Retrieved 14 November 2014. ^ Gough-Yates, Kevin. "Raymond Who?". Raymond Durgnat.com. The Estate of Raymond Durgnat. Retrieved 14 November 2014. ^ "Critics Top Ten Poll 2002". Sight & Sound. British Film Institute. Archived from the original on 16 August 2002. Retrieved 10 May 2018. ^ "Directors' Top 100". Sight & Sound. British Film Institute. 2012. Pam Cook and Philip Dodd (eds): Women and Film. A Sight and Sound Reader, London: Scarlet Press, 1994, 287 p.
Jacqueline Louviot: Le regard de Sight and Sound sur le cinéma britannique des années 50 et 60 (What Sight and Sound Saw: Sight and Sound on British Cinema during the Fifties and Sixties), French doctoral thesis, University of Strasbourg II, 1997, 980 p.
David Wilson (ed): Sight and Sound. A Fiftieth Anniversary Selection, London: Faber and Faber in association with BFI Publishing, 1982, 327 p.
Ahead of our Greatest Film of All Time poll, Michael Atkinson anatomises critics’ obsession with enshrining cinema’s ‘top ten’.